Following the great success and Michelin adornment of his London mothership, Lima, Virgilio Martinez has opened a second restaurant in the capital, Lima Floral in Covent Garden. The new restaurant is more informal than Lima, boasting a piqueos bar serving tapas style dishes in the space downstairs and a keenly priced range of Peruvian fayre in the main dining area. 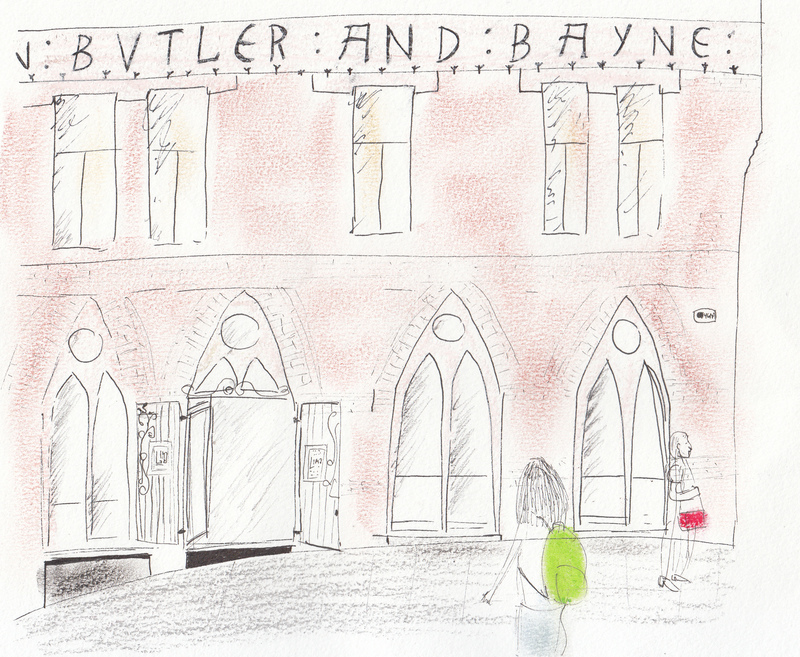 The restaurant is encased in a former monastery and latterly, stained glass factory, replete with Victorian brickwork and colonnades. The interior has been gutted and restyled by B3 designers, who have also been responsible for the styling of Gymkhana and Bubbledogs. The restaurant menu reads like a curt version of Lima’s, with starters at £7-10 focusing on ceviches and tiraditos; mains of £18-24 are mostly meat and potato based, with the addition of an interesting sounding warm sea bream ceviche. The one difference from the menu at Lima is the introduction of some more unusual Andean ingredients – pachamanca, camote, anticucho and annatto all feature……..probably best to ask your waiter what these are. We dined in the piqueos bar downstairs – the headline on the menu states that it is ideal for pre-theatre dining and the eighteen dishes on offer are all small and designed for sharing. In addition to the now familiar ceviches and tiraditos, they offer some more filling meat and fish dishes (anticuchos) as well as “tostadas” which are an Andean slant on spanish tostadas – each dish sits on top of a crunchy cornflour tortilla which can then be used to shovel the food into your mouth. 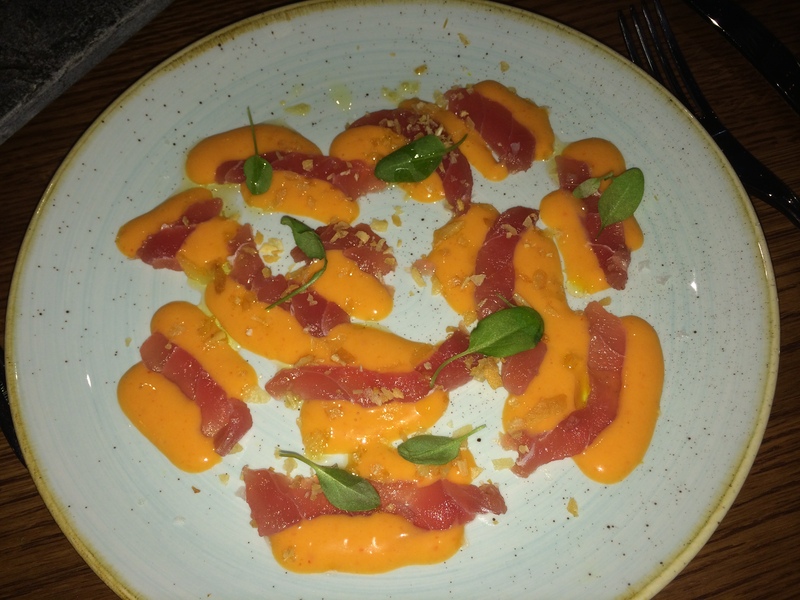 We started with a tuna tiradito which utilised fantastically meaty tuna which had been sliced thinly and placed on dollops of tomato and chilli infused tiger’s milk – simple, clean and effortlessly tasty food. We followed with another tuna dish, a tuna causa – a tuna tartare served with Andean blue potato, avocado and amazonian cashew. Strangely, the tuna played second fiddle to the wonderful potato, which was a deep purple colour and had a deep earthy flavour with a slightly sweet, treacle-like finish. The quality of their ceviche is a true test of the quality of a Peruvian restaurant – both of our ceviche dishes at Lima Floral were exemplary: salmon with limo chilli pepper achieved the perfect combination of fatty fish and citrusy tiger’s milk; scallops with tree tomatoes allowed the almost sweet, succulent scallops to speak clearly. 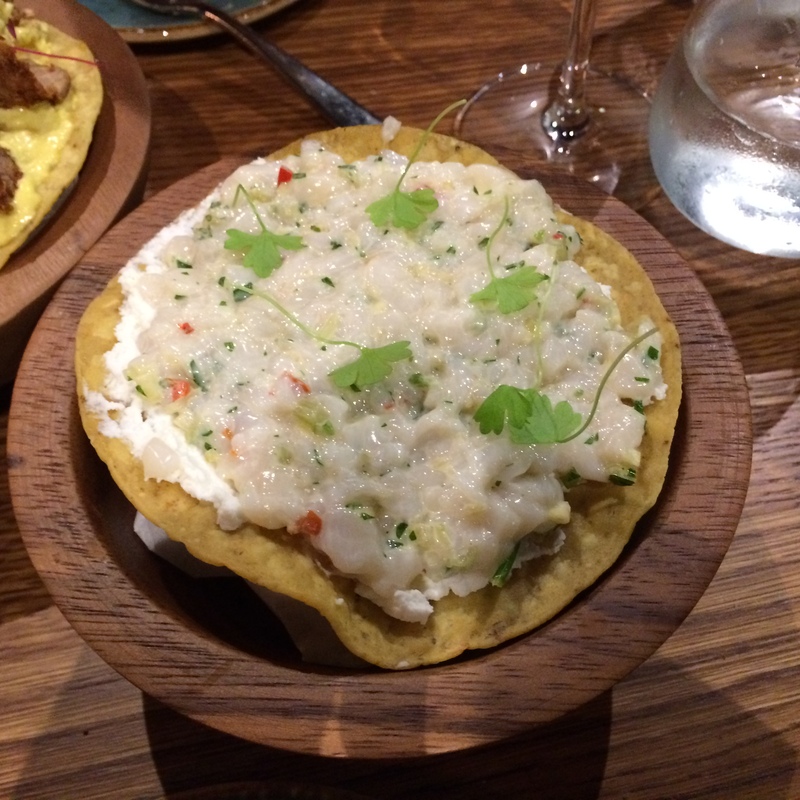 We finished with each of the four tostadas – two were successful, two less so; the less successful dishes were the sea scallops and octopus in which the seafood had been chopped finely and enveloped in (I think) cream cheese which severely dulled their flavour. However, the asparagus, avocado and onion ashes was wonderful – fresh, light ingredients treated without fuss. Finally, lightly cooked veal heart was served with quinoa – the meat melted in the mouth, crunch and texture was provided by the quinoa. A well conceived, filling dish, and at £5.50 just about the best value on the menu. We attended the soft launch so our bill was very reasonable – the Pisco Sours were on the house, and there was 50% off our food bill; at full price I think that Lima Floral would be expensive, although it offers better quality food than most of its neighbours in Covent Garden. Coya is another new Peruvian restaurant: it opened last year, hanging on to the coattails of the much hyped Lima and Ceviche. It is the brainchild of Arjun Waney, the man behind Zuma, Roka and Banca, all stylish and innovative additions to the London restaurant scene. The restaurant is coupled with a private members’ bar and housed in a grand old building in Mayfair (the entrance is unadorned and you can quite easily miss it – watch out for number 118). The dining rooms and bars are in different areas and the decor is generally gaudy with a vague Peruvian theme. 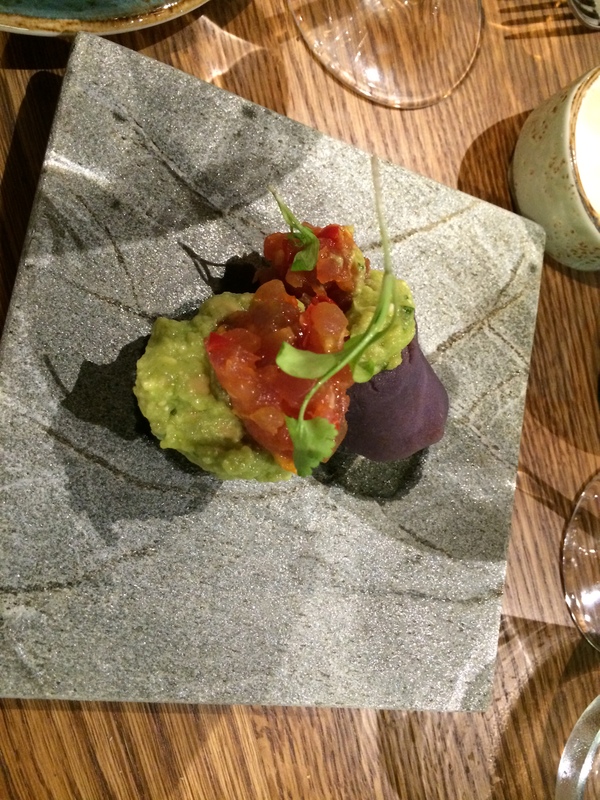 Coya is the priciest of London’s Peruvian eateries and it is more formal than the hip ceviche and the urbane Lima. It is also the only one to properly embrace “chifa” cuisine which combines Chinese and Peruvian cooking methods. To start we couldn’t look past the traditional ceviches – Lubina Clasico (£8) used fantastically fresh sea bass and was very similar to the kind of ceviche that I ate when I was in Peru, it was served in a mildly spicy tiger’s milk and with three kinds of corn (including traditional white corn); Atun Chifa (£11) mixed meaty yelllowtail tuna with soy sauce and sesame seeds – highly recommended. 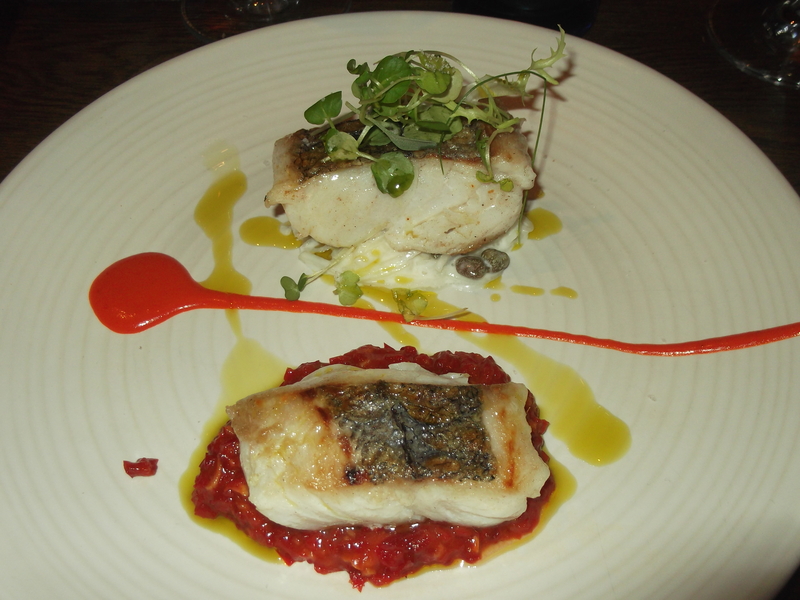 The main courses will really make a dent on your wallet, especially if you choose fish, but the Chilean sea bass with chilli was well worth £27 – it was wonderfully cooked in a slightly sticky marinade – you simply must try this. Duck with soy sauce and coriander (£17) was aiming at “posh chifa” and certainly delivered – the meat was wonderfully pink and the sauce had a hint of sweetness to offset the dryness of the soy. Dessert was some kind of faux Peruvian brownie which was nothing to write home about – the memory of the sea bass, however, will live on! We retired to the bar for a quick post-meal drink – it was a great people watching opportunity because there was a selection of Latin American “moneyed” characters there: a dwarfish man with shiny chains around his neck and a tailored mustard jacket was being towered over by an Amazonian Brazilian beauty in gold studded high heels; Mexican “brats” were sipping cocktails at the bar – boys with slick back hair-dos and little pinched mouths, girls with supermodel good looks and Gucci handbags, a slice of London life that you wouldn’t normally see. 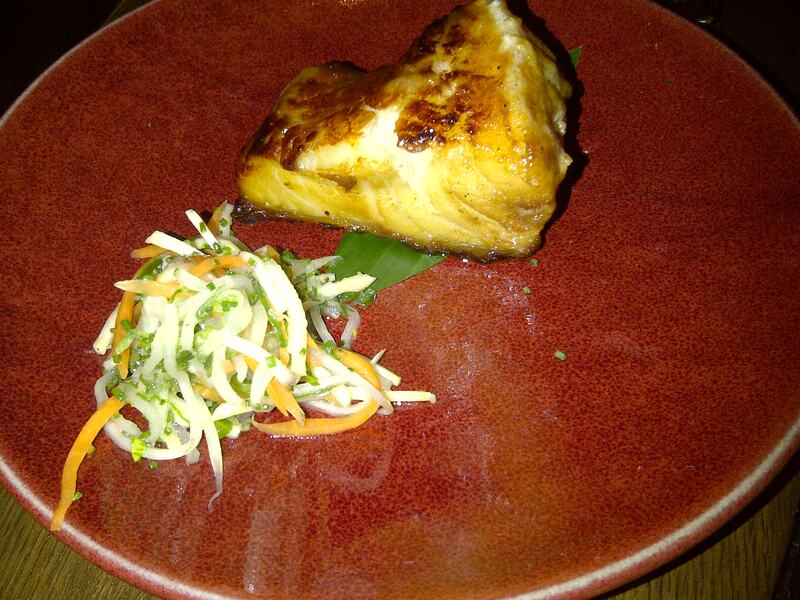 Verdict: save up, and stick to the fish – especially the sea bass. Lubina Clásico: Sea bass, red onions, sweet potato, white corn. 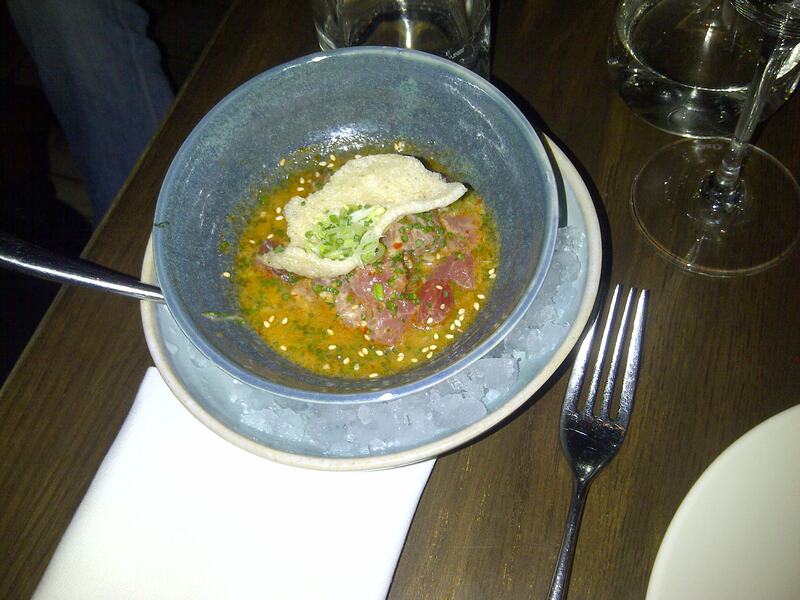 Atún Chifa: Yellowfin tuna, soy, sesame seeds, shrimp cracker. Chilean sea bass, amarillo chilli. 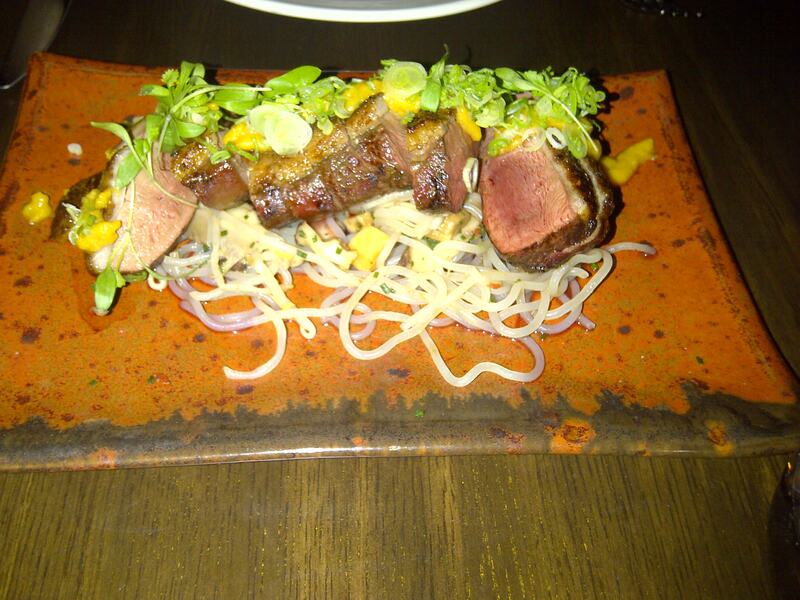 Duck breast, lúcuma, soya sauce, coriander shoots. Also see: The Hedonist, London Unattached and Evening Standard. Ceviche and Lima are the dual prongs in Peruvian cuisine’s attack on the London food scene. Lima is the slightly more polished wannabee “bib gourmand” elder sibling whilst Ceviche is the trendier, skinny-jeaned younger brother. The interior design is by Schneider Designers and it is very cool: with South American movie posters, bright custom-made tiles and funky lamps. Ceviche has received mixed reviews since it opened amid a lot of buzz in February – many bloggers and critics have praised the ceviches and skewers but criticised their Peruvian “classics” like Lomo Saltado (a take on steak and chips). We started with cocktails at the Pisco bar – their Pisco sour was nowhere near as good as what I sampled in Peru – the Pisco tasted more like Tequila than the real thing. We started a selection of four ceviches between the two of us (ceviche is fresh fish or prawns cured in lime juice with tomatoes – called tiger’s milk – for around half a day until they are cooked through). Don Ceviche (£7) was a simple seabass ceviche with red onions, the fish had a strong fresh flavour and was not overpowered by the tiger’s milk. Mackerel and Gooseberry Tiradito (£7) used good quality mackerel but the gooseberry flavour was barely detectable, it was topped with pecan nuts which added a nice crunch. Barranco I love you (£7) was also seabass based, again the quality of fish was good and it was nicely dressed with baby basil leaves. Our final choice, Drunk scallops was a bit more expensive at £11 but well worth it – the scallops were large and thickly sliced, the marinade contained a hint of Pisco and the dish was finished with fresh coriander and pomegranate seeds. All the ceviches were well executed but they were not very large (containing around 150g of fish on each plate) and they needed to be served with something crunchy eg popcorn, banana chips or roasted corn, as they do in Ecuador and Peru. We also had a Quinoa salad (£4.50) to accompany our ceviches – the Quinoa was well cooked so it still had a bit of bite. The beef heart skewer (£5) was very tasty, and it seemed more like beef fillet than heart (albeit with a bit more chew). Although this sounds like a lot of food we were still hungry after it all (and with our wallets over £40 lighter). So to fill our empty tummies we had the Brownie Peruano (£5) a chocolate and pecan brownie with cinnamon ice cream. It was very tasty but an extremely simple dish. Ceviche is very stylish and it has a great buzz – I would visit at lunchtime and fill up on their ceviches, avoiding the rest of the menu. Also see: Samphire and Salsify, londonstuff and Ross eats. Peruvian restaurants are a recent London trend with Tierra Peru opening at the end of last year, Ceviche in February, Lima in July and Coya set to open later this month. 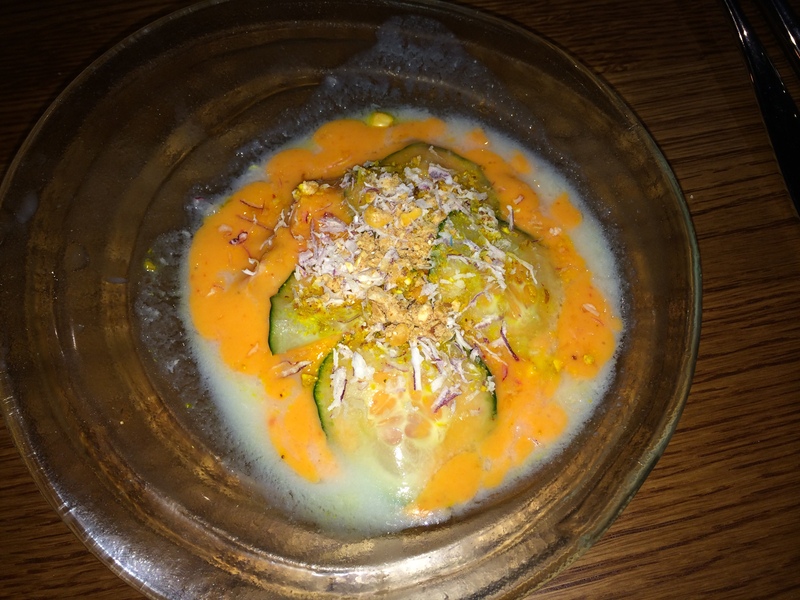 Lima has been firmly on the London food bloggers’ compass since it opened and has generally received good write ups – doughnuts&wine, Chez Allessandra, The D@ily Out, edge and spoon, with only the esteemed Andy Hayler giving a bad review. Having visited Peru earlier this year, I was keen to visit and decide if all the hype is justified. Peruvian cuisine dominates the South American restaurant scene and it is driven by a group of innovative chefs based in Lima. It also mixes well with other styles of cooking – in Quito, Ecuador I went to a fantastic Ecuadorian and Peruvian fusion restaurant which was staffed by Ecuadorian chefs and served a mix of Andean dished with Peruvian flourish. The Peruvians I met whilst travelling were extremely proud of their food culture and often verged into pretentiousness, in my opinion overstating the importance of Peruvian food on the world stage. So I entered Lima expecting quite fussy food and unsure of whether the quality of cooking would match the hype. However, under Andy Hayler’s guidance about what dishes to avoid eg the crab main course, I was pleasantly surprised by my meal at Lima. 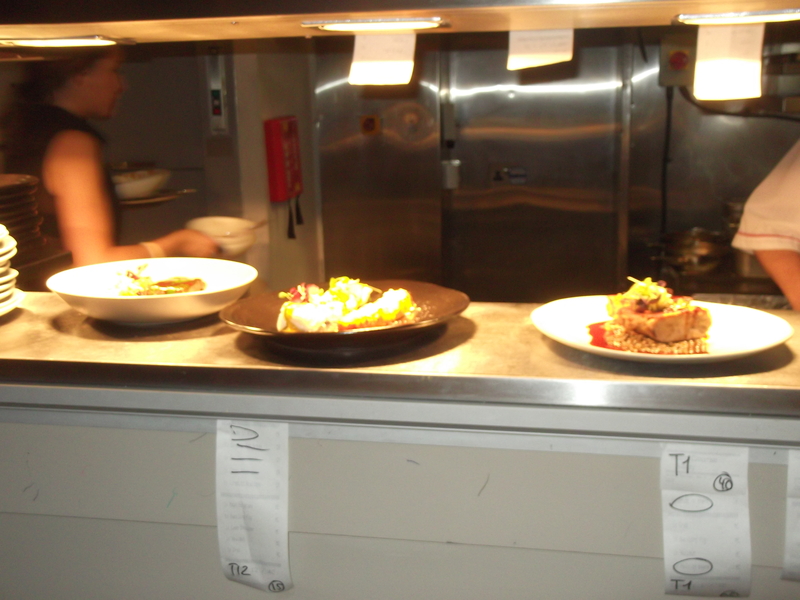 Everything I ordered looked outstandingly pretty and the general standard of cooking was good. 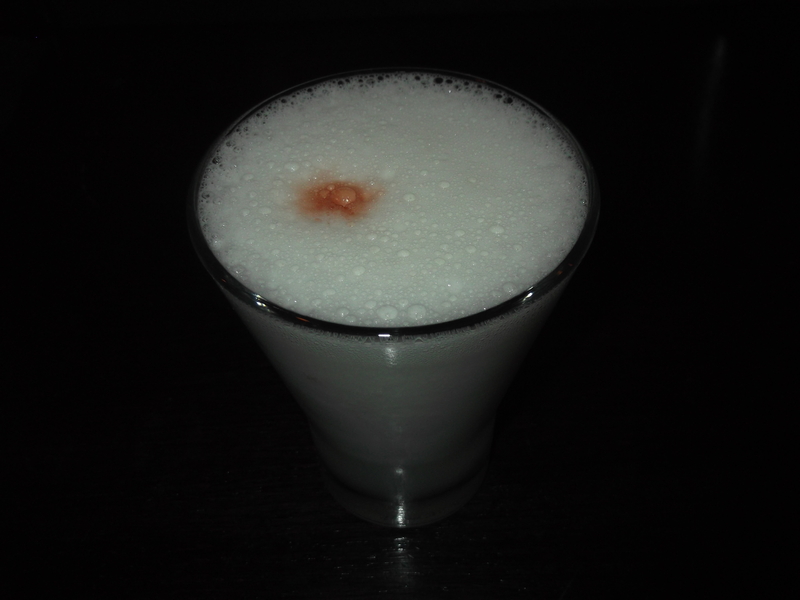 We started with a trip to the downstairs bar for a couple of Pisco (a grape brandy) sours – Peru’s national cocktail – these were made in front of us using good quality Pisco but were a bit heavy on the egg white and were not a patch on the Pisco sours in Peru. We then headed up to the main dining area – try and get a table there if you can – the atmosphere is great, we ended up chatting with the nice folks at the table next to us. 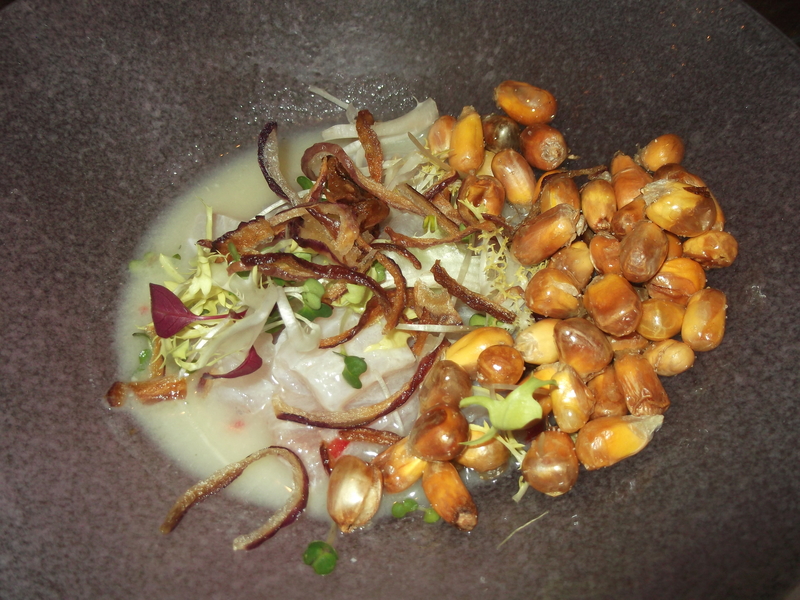 I started with Sea Bream ceviche (£8) which was really fantastic – the fish was very fresh and firm; the tiger’s milk extremely sharp with a slight spiciness and the sweet onion added a nice crunch. For main course I had two Merluza (hake) fillets: one with Kohlrabi cabbage and capers, the other with Maca root (which tasted a bit like turnip) and chilli compote (£20). Like all the dishes here, it was beautifully presented but the balance of flavours wasn’t quite right – the creaminess of the cabbage clashed with the tartness of the maca root, and the fish was a tad overdone. 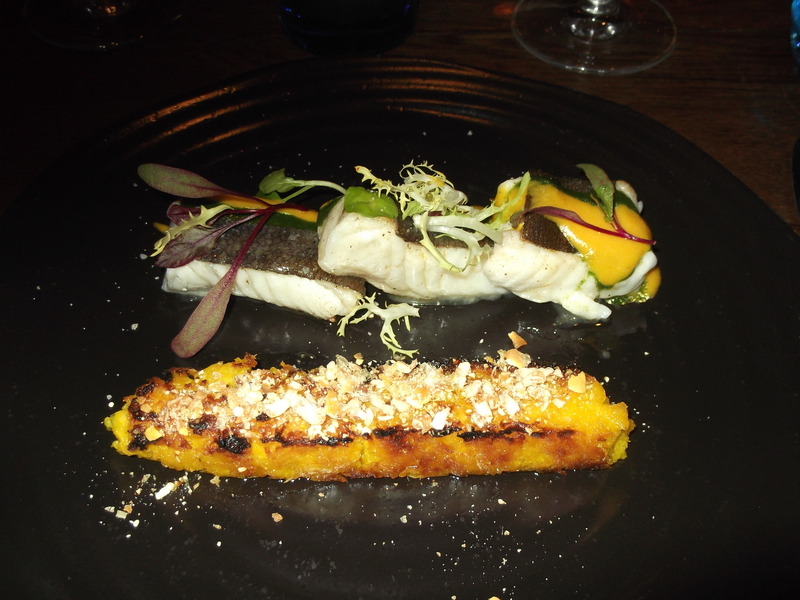 However, my friend’s Halibut (£18) with corn parfait was superb – the fish was nicely firm and it was lifted by some unusual Andean herbs; the parfait was rich and creamy. My dulce de leche (Argentine caramel) ice cream (£6) was silky smooth and nicely married with a tangy beetroot emulsion and some crunchy honey sprinkles. 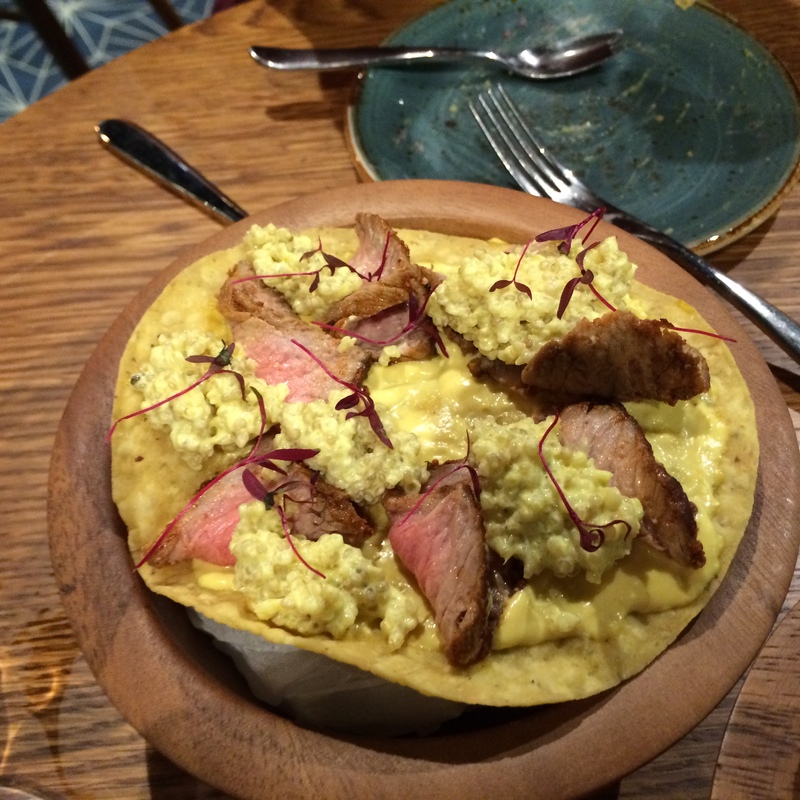 The waiting staff at Lima have been criticised in many blogs, but I was generally impressed by the standard of service (although they did add a couple of extra items to my bill – I recommend you to scrutinise your bill with care!). 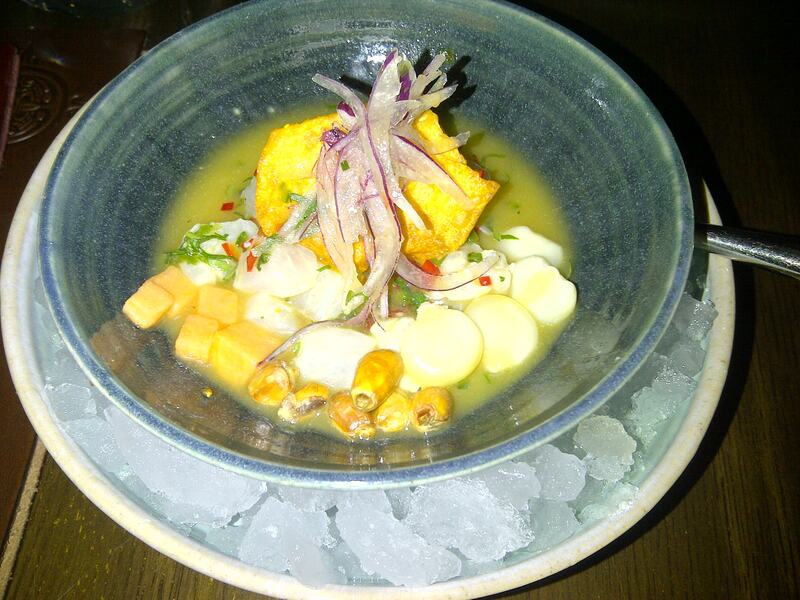 Lima is definitely worth a visit – it is very stylish, the food is unusual and is generally well cooked.